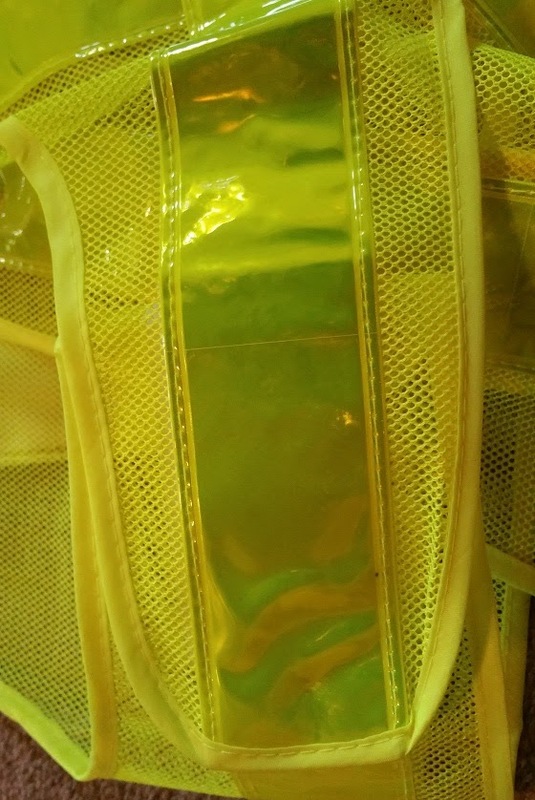 Behind the Bit: Horze reflective vest: more than I bargained for! 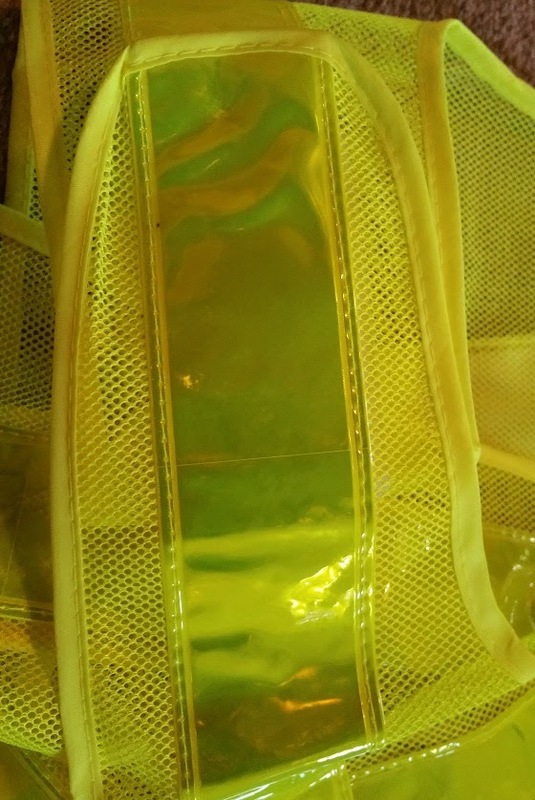 Horze reflective vest: more than I bargained for! 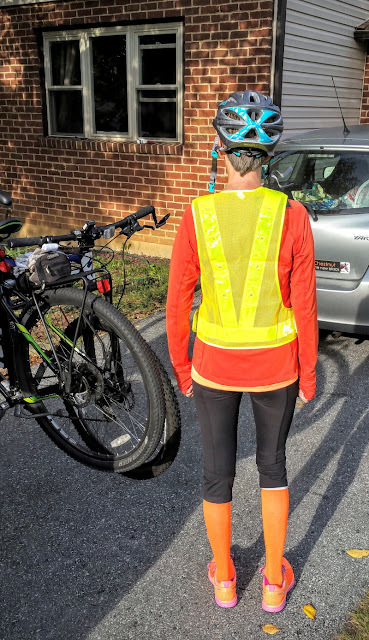 When Horze.com contacted me to do a product review of their reflective gear, I was thinking the LED reflective vest could do triple duty: Riding, biking, and running. 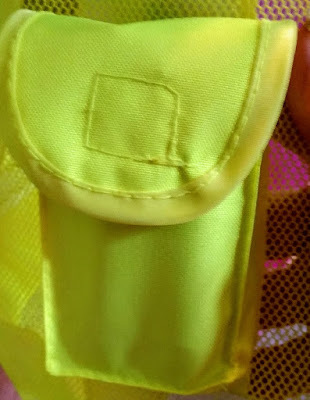 Multiply that times 2, because the adjustable sides make it easy to fit to all body types -- both Bob and I can wear it. 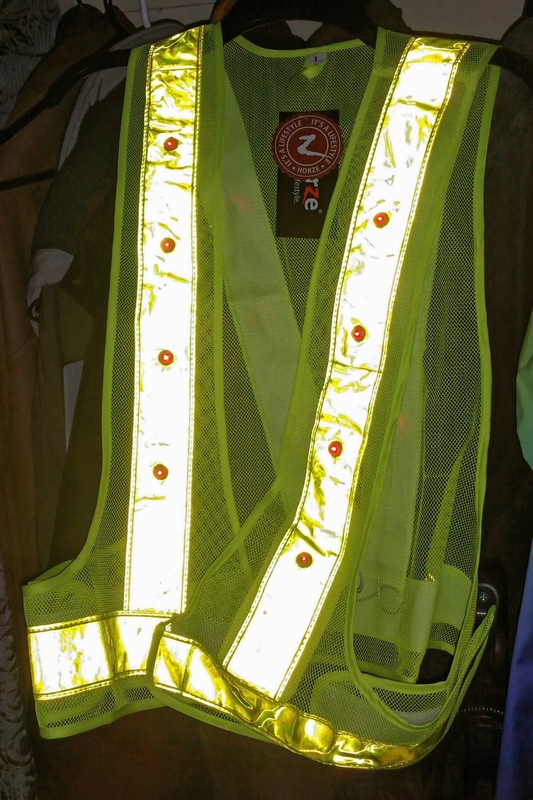 At only $29.95 it's a good buy, not only because it has reflectivity but because the LED lights can be off, flashing, or steady -- adding to your already strong visibility. Adjustability. 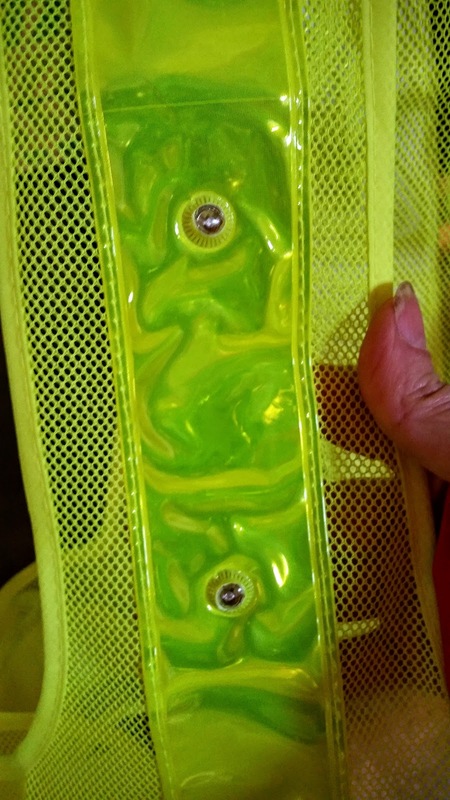 There are side tabs that allow you to make it as small or as large as you want, within limits. 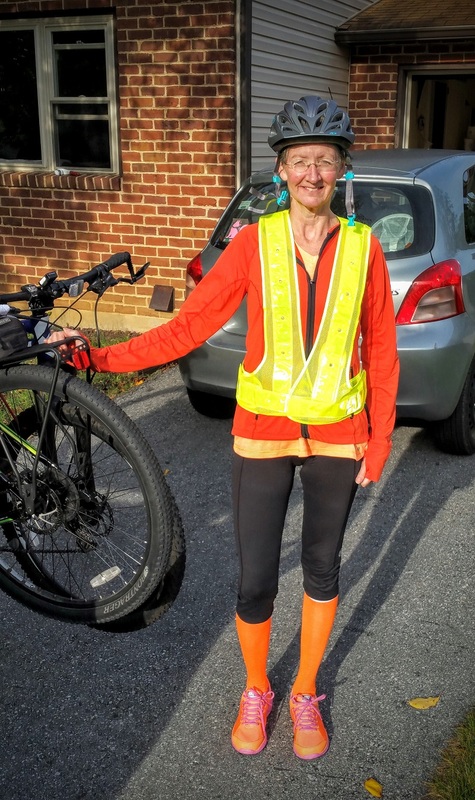 I have a large, which easily adjusted to my more-medium frame, and Bob can enlarge it to fit his 6'3" frame. Reflectivity -- there is plenty of reflective surface on this garment. 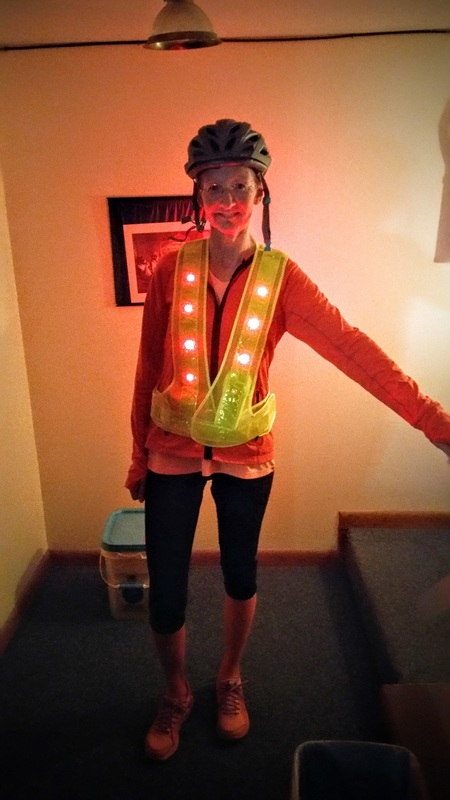 LED lights -- I love the fact that you can light this vest up and even make it flash (triple AAA batteries fit into a front pocket. Mesh -- the mesh construction is breathable but with just enough stiffness that it holds a nice shape (not floppy). Wear with anything. Instead of buying short-sleeve, long-sleeve, lightweight, heavyweight hi-viz items, wear this with anything! 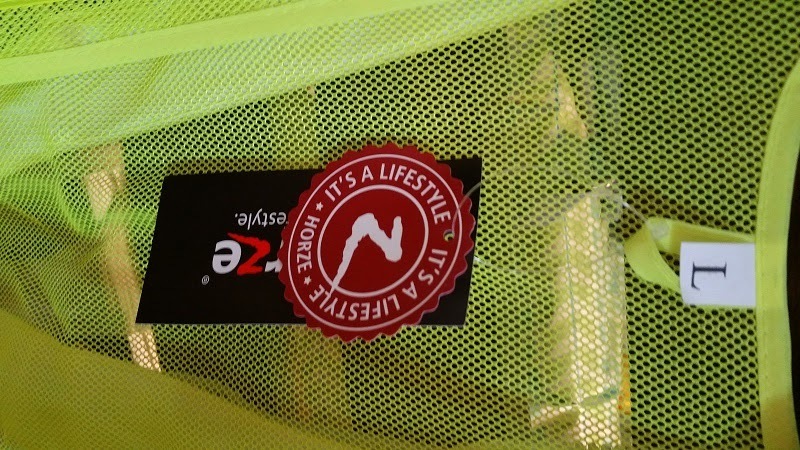 I will be using this vest regularly -- Thanks Horze.com!